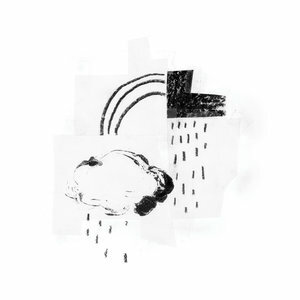 Quiet and confident, Damien Jurado gives us ten songs bared to the bone but filled with soul on It Took the Shape of a Storm. Over the course of Damien Jurado's long, weird, and wonderful career, the genre he has most closely been associated with is folk, usually of a hyphenated sort (folk-rock, psych-folk, etc. ), but he has never, until now with It Took the Shape of a Storm, released a fully acoustic, just a singer and his guitar record. This decade, his ongoing collaboration with Richard Swift brought the odd and stunning trilogy of Maraqopa, Brothers and Sisters of the Eternal Sun, and Visions of Us on the Land, an adventurous, career-redefining extended semi-sci-fi, semi-spiritual concept record inspired by late 1970s Jesus-freak music. At one point during the 1990s, Jurado declared himself a band and made a collection of records defined by their peaks and valleys of sound and silence. Even his sparser early work still contained atmospheric echoes and ambient noise. Here, at last, we hear Jurado laid barest. It took Jurado two hours and 19 years to create It Took the Shape of a Storm. The two hours were all the studio time necessary to record these ten sparse songs with Josh Gordon accompanying on the second guitar. The 19 years is the period of time during which the songs were written and laid to the side to wait for the right moment to be completed. Jurado's previous work, especially the trilogy, functions for the listener both in the foreground and as background. That is, they rewarded close listening but also worked as background music that merged with whatever one was doing, on occasion rising to the foreground of consciousness with a surprising turn or shift. It Took the Shape of a Storm is an entirely foregrounded record; play it in the background and it will evaporate. These are quiet, affecting songs that demand to be listened to. An unusual and particularly satisfying aspect of this album is Jurado's attention to love songs, something he has shied away from, at least from the perspective of satisfied love. Yes, there are wry songs of unrequited love here, the kind of situations Jurado paints so well. "Newspaper Gown" is an homage to a cross-gendered friendship with no strings but plenty of speculation, except maybe things are not that clear-cut, as Jurado reveals in its final stanza. "I don't need another reminder of how it isn't our time," Jurado sings on "Anchors" which extends the metaphor begun in "The Shape of a Storm", where the weight of revealed feelings promises more dread than potential happiness: "If I go sailing into the unknown / what are my chances of reaching your shore?" And the brief, crushing "Silver Bell" promises "Time does not heal / Everything an end." But two of the album's most striking songs are pure, straightforward expressions of that fickle emotion, and in both, Jurado resists his usual urge to complicate things, choosing instead to celebrate the moment and the connection. The brief and beautiful "Oh Weather" finds its narrator taking command of the elements in order to connect with his lover: "Tell the storm that's before me that I'm in a hurry to see you / I have no time for sleeping when it's love that is keeping me true." Likewise, in "Throw Me Now Your Arms", the blind forces that would part all lovers are no match for the narrator, who declares "We're not meant to be on our own." Instead, he too would battle the elements to "be the first to tell you I would give up my life / Every day as the tides grow closer, it is all that's on my mind." While this album was recorded before Richard Swift's untimely passing, it seems appropriate that Jurado would choose to release so simple and basic-sounding a record following the loss of such an important and distinctive collaborator. It Took the Shape of a Storm may turn out to be a stop and restart album in Jurado's career, a compass point between significant bearings. If it is, it is both a worthwhile, fitting pause and a promise of new adventure to come.